Happy Monday! While this may sound like an oxymoron, today is much happier because we have a fabulous new giveaway from a fabulous new sponsor. Meet newly started online boutique Queen of the Tailgate. A one stop shop for Clemson Girls (and fans of other schools) to find the perfect outfit and matching accessories for gameday. Their website makes shopping easy - you can shope by school or by color. Queen of the Tailgate may cater to multiple schools, but it is owned and operated by Clemson alums! So it's no surprise that the biggest selection (and best in my opinion) on the site is in orange and purple. You can now get 10% off your order through Memorial Day, just use the coupon code 'tailgate' at checkout. 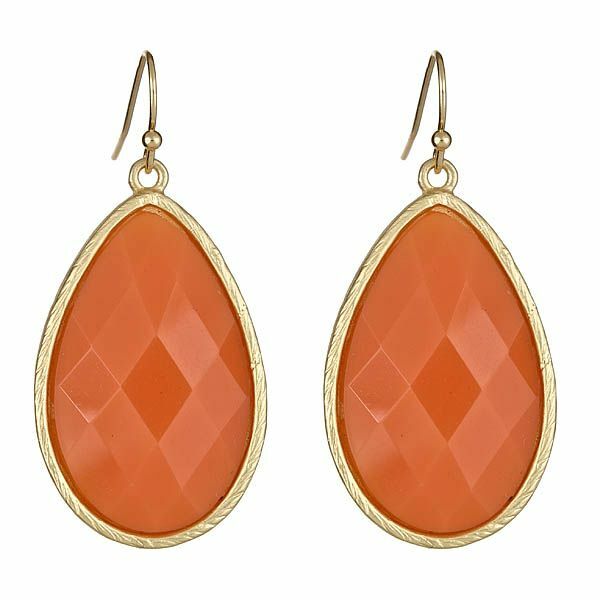 To celebrate the opening of this new boutique, Queen of the Tailgate would like to give one very lucky Clemson Girl a pair of their bestselling orange tear drop earrings. 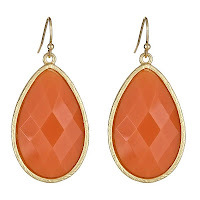 These earrings would add the perfect pop of orange to any gameday outfit. Deadline for all entries is tonight, Monday, May 21 at 7pm EST. We will compile all of your entries and announce the winner back on the blog soon after the deadline - so make sure you visit the blog again tonight to see if you've won! Special thanks to Queen of the Tailgate for sponsoring today's giveaway. We love supporting Clemson alum owned businesses and we can't wait to see all the new orange and purple they'll be selling this year! Go Tigers! I shared about the giveaway on my FB page!! I shared the post on Facebook!!!! I posted the link on my facebook!! Beautiful earrings! So proud of my "Clemson Girl"!! She graduated on May 11th from Clemson!! I love going to see my Tigers play 3x a year! I shared about the give away on my FB Page.